Macklemore mimics common Jewish stereotypes with a fake nose and a fake bead in a surprise set at Seattle's EMP Museum. 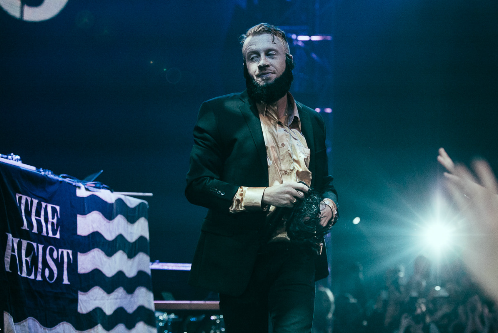 At the opening of a new exhibit at Seattle’s EMP Museum called “Spectacle: The Music Video” on Friday, audience members were treated to a surprise performance by Macklemore and Ryan Lewis, who have outfits included in the exhibit. 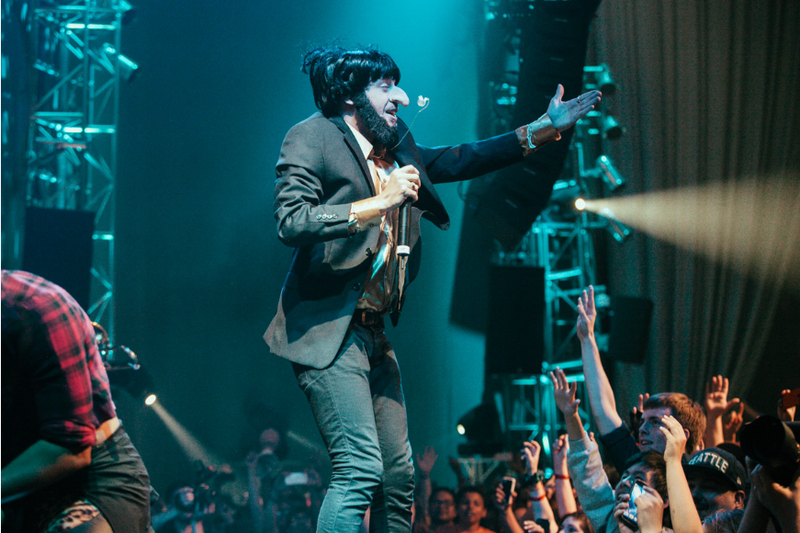 During the set, Macklemore wore a costume that included a large prosthetic nose and fake beard. Which some are arguing was simply a hodgepodge of offensive Jewish stereotypes. Many fans seemed to enjoy the set and didn’t comment on Macklemore’s choice of attire. But once photos surfaced from the performance, others have turned to social media to question the outfit choice.